The Master Lock 2 hour fire safe 34 litre is designed to protect documents, digital media and other valuables from fire, water, and theft. It is UL/ETL verified offering 120 minutes fire protection for documents as well as digital media up to 1010°C. Furthermore, it is ETL verified water protection up to 20cm for 24 hours to protect valuable items from flood damage and verified to withstand a 4.5 metre drop during a fire and stay closed. 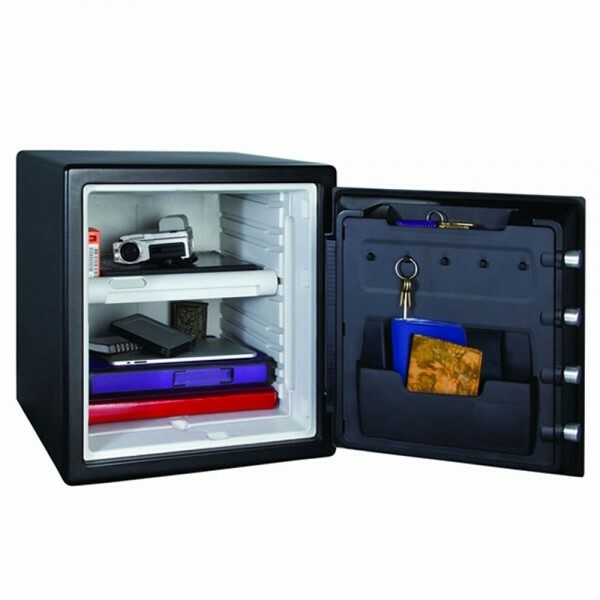 It is fitted with a dual locking system which has an electronic lock and a key lock and has bright LED interior lighting to make organising belongings easier. 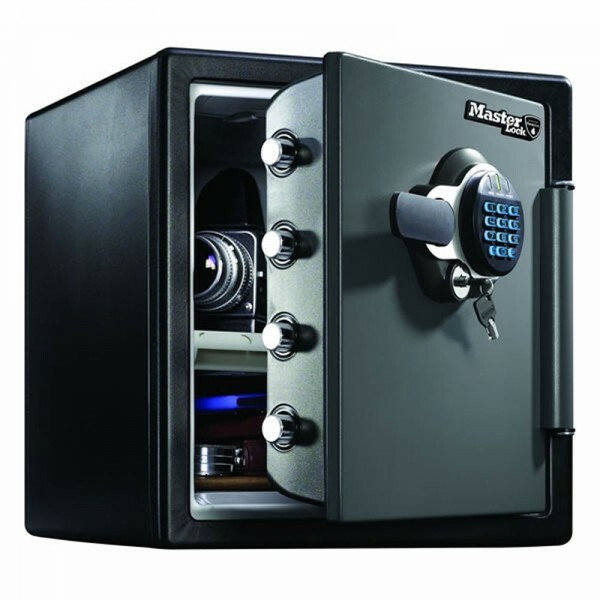 The Master Lock 2 hour fire safe 34 litre is made from a solid steel and has 4 steel 25mm live-locking bolts and a pry-resistant hinge bar for more protection against attacks. It is supplied with bolts for back or base fixing and has a removable shelf. 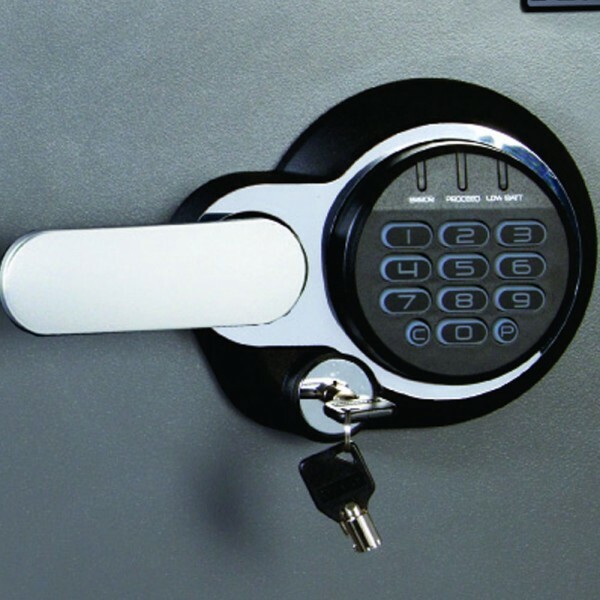 The door has a key rack, door tray, and door pocket for small, easy-to-misplace items.